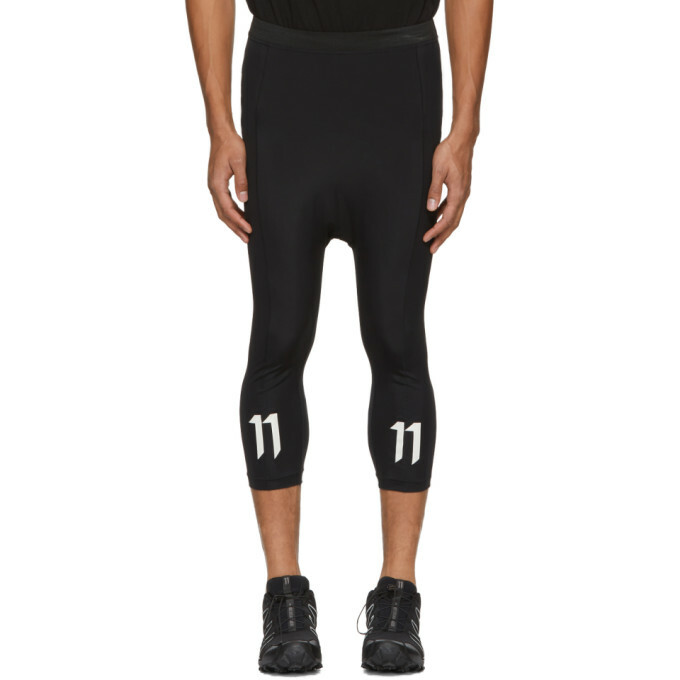 Slim-fit technical jersey sarouel-style track pants in black. Cropped leg. Overlock stitching throughout. Elasticized waistband. Logo and stripes printed in white at back. Tonal stitching. 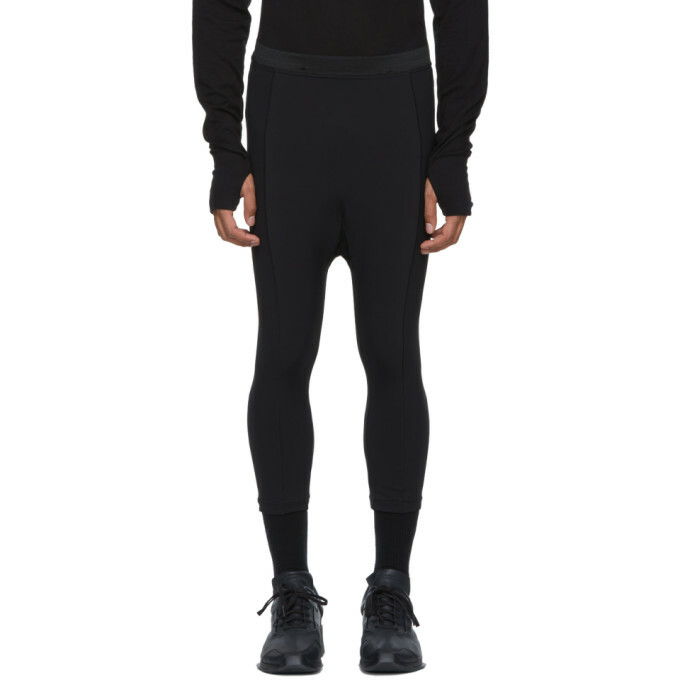 Slim-fit stretch cotton jersey sarouel-style track pants in 'dye' black. Elasticized waistband. Text, logo, and graphics printed in white at front and back. Tonal stitching. 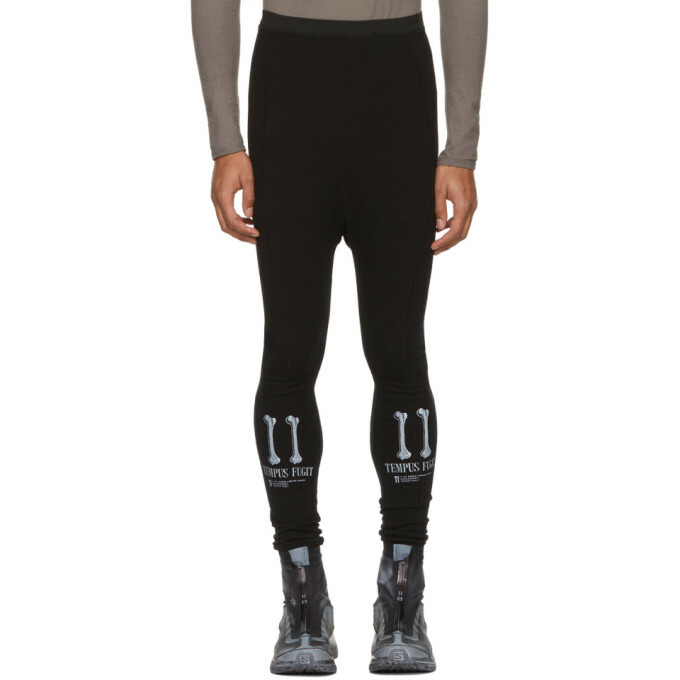 Slim-fit technical jersey sarouel-style track pants in black. Cropped leg. Overlock stitching throughout. Elasticized waistband. Logo printed in white at cuffs. Tonal stitching. 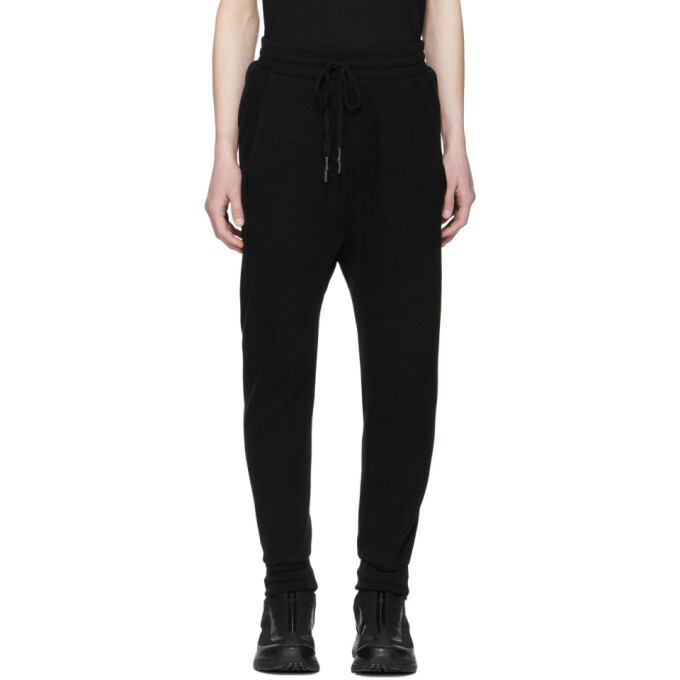 Relaxed-fit panelled waffle knit cotton lounge pants in 'dye' black. Mid-rise. Dropped inseam. Four-pocket styling. Drawstring at rib knit waistband. Rib knit cuffs. Signature cord trim at back. Tonal stitching.